Bonita Springs Estero Dentist Now Open Fridays! If you search for a new dentist, you may find that dentist’s hours are generally 8-5 Monday through Thursday. You may find yourself wondering why this is. The dentist is open when many people are working and busy and closed when people are free. At Pelican Landing Dental, we felt it necessary to explain some of the reasons for this and offer a little help. Dentistry has been this way for decades. Why don’t dentists work 50+ hour weeks? There are several reasons for this. First, it may be difficult to imagine but dentistry is hard on the body. Although the dentist uses special magnification, has special chairs and equipment, and daily maintains mindfulness about posture, the positions used in dentistry can create many long term physical ailments. These include back problems, neck problems, as well as hand and shoulder problems. Physical ailments are one of the major reasons for early retirement in dentistry. All this said, in order to maintain a long career dentists generally do not work extremely long hours. Why do dentists generally work Monday through Thursday? As stated above, this has been the industry standard for decades. If a dentist does want to step out of the mold, it is challenging to find staff that will support these hours. A major reason that many hygienists, assistants, and front-end staff enter the field is the lifestyle that it provides. 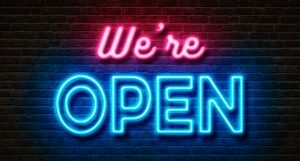 We are now open Fridays! At Pelican Landing Dental, we felt that it was important to be open on Fridays. Many people that are busy during the week are available to seek healthcare on this day. Beginning in October, we will now be open from 10am until 2pm on Fridays. If you would like to schedule an appointment, feel free to contact us by clicking here or call us at (239)449-6104. We welcome new patients at any time.